Form dense aggregations in moist habitats in response to aggregation pheromones. Clusters on snowfields appear red. 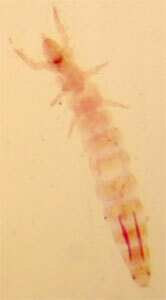 The cuticle of proturans is very unusual, with many pits and projections, which may be sensory. Some diplurans guard their young. Less aggressive species from small, unstructured aggregations and also occur in association with ants and termites. 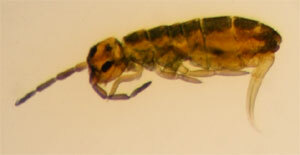 Larvae of other orders are often described as "campodeiform", i.e. looking like the dipluran Suborder Campodeida.